Photo via Swamp Brothers Facebook. 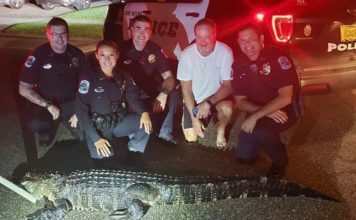 Sumter County Sheriff’s officials said in a news release that Snowball has been missing since a fire broke out at Animal Crossings of Florida Inc. on Friday, killing 43 alligators and crocodiles. The farm is owned by Robbie and Stephen Keszey, who starred in the show on the Discovery Channel. Sheriff’s Capt. 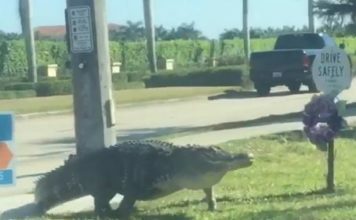 Pat Breeden tells the Ocala Star-Banner that the dead reptiles were mostly babies. Detectives said someone broke a window to get into the building and then set a fire. The state fire marshal’s office is investigating. 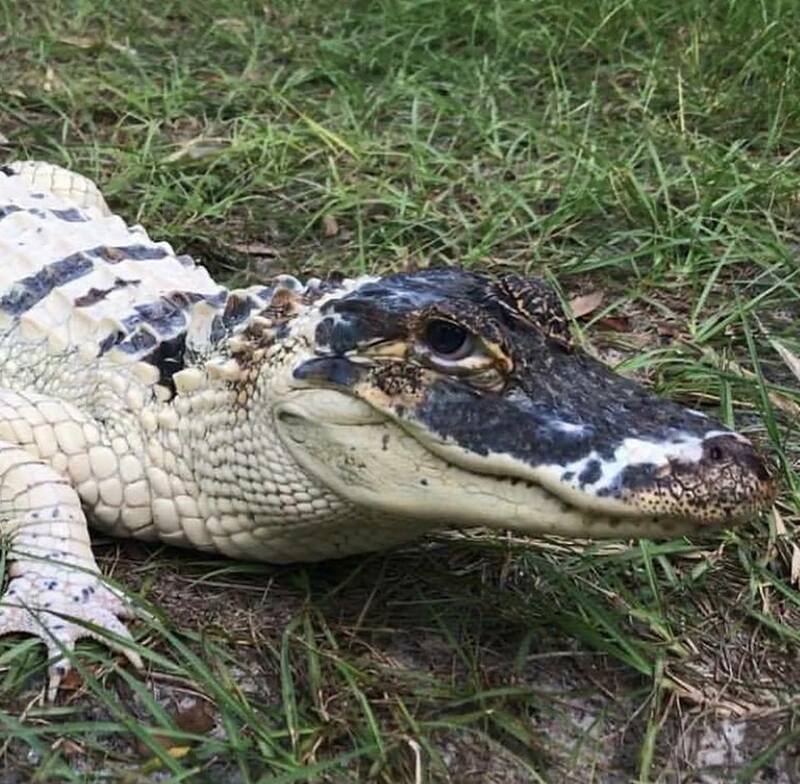 The brothers are asking through social media for the public’s help in finding Snowball, a leucistic alligator, born without skin pigmentation.